With the romantic beauty of vintage hair accessories from the late 1940s, our Vintage Fantasy Headpiece is utterly charming. 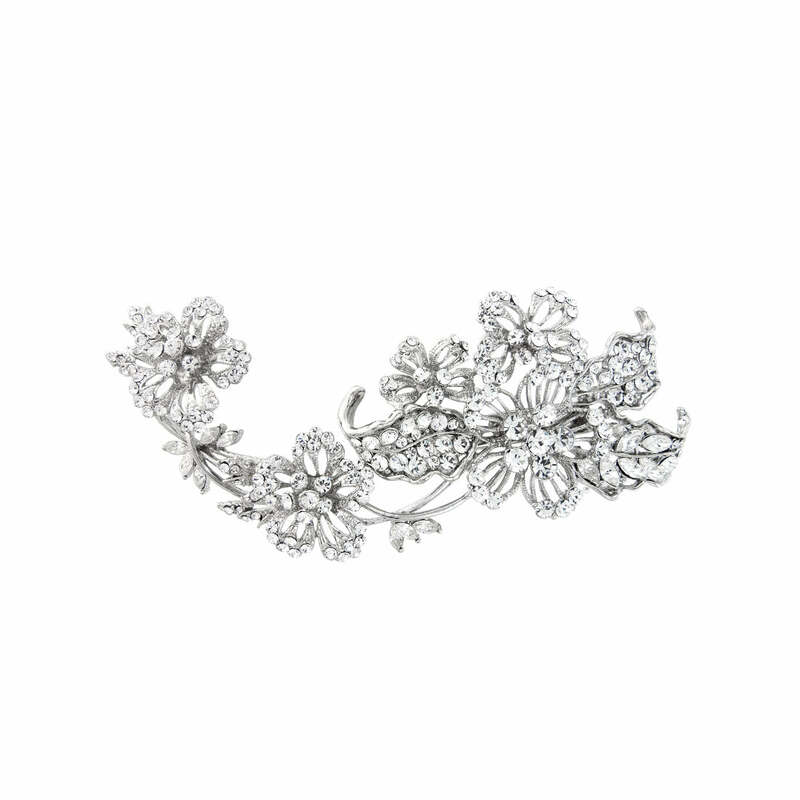 Featuring a curved stem bejewelled with enchanting flowers and leaves encrusted with sparkling clear Austrian crystals, this pretty 'piece' is sure to be a favourite of if you adore classic vintage accessories. With heirloom style, brides who adore timeless 1940s wedding headpieces will fall in love with this captivating treasure. With a loop on the underside for securing to your hairstyle with kirby grips and small concord clip, Vintage Fantasy is a versatile bridal hair accessory. Set at the side of the head, over an elegant French pleat or placed above a 1940s low chignon, this delightful headpiece 'piece' adorns with exquisite style.